With the launch of the content-focused online-platform Schlosspost as part of the new Digital Solitude program in November 2015, the institution Akademie Schloss Solitude became its own medium to share the output, knowledge, topics and stories of the Solitude network, the backgrounds of its work and characters with the outside world. Now that the first ten exciting and highly productive months have past, it’s time to take stock, to look back on what we achieved and to look forward to what comes next. This editor’s note should give you an insight into the idea and concept of the online platform guiding you through the content and logic of the virtual Akademie Schloss Solitude – particularly explaining the concept of the program »Schlosspost Web Residencies«, which is currently running for the third time. In talking about the institution, we are also talking about the active worldwide fellows’ network of artists and scientists – of which 180 are now Schlosspost-contributors who communicate its diverse content to a global audience: former and current fellows & friends publish their content, their monologues and dialogues, their fiction & facts in single contributions or special interest blogs ranging from virtual reality to voice experiments, investigations on drawing to Solitude insights. Over the course of the past ten months, the platform grew to a creative hub and free space for reflection, innovation and further development of topics and projects. The network produces constantly new content in various formats such as narrative galleries with Objects of Solitude, interactive glossaries, letter correspondences, gif diaries, or content rich classic talks between fellows or invited experts or curators. Now over 350 contributions build a network of topics and projects on Schlosspost as an ongoing ever-growing debate in the form of related posts that mirrors the open process-like, interactive, and playful self understanding of the artist residence. Some of the former fellows works get discovered again and shown in Anita’s Corner, some fellows in- and outside Solitude open their studios inviting the digital audience to take a look behind the scenes, to discover works-in-progress, and learn about what inspires them. And suddenly the »time without qualities«, in which the fellows can develop and implement their ideas without any external pressure, gets shaped and tellable in images and stories, breaking »the boundaries between inside and outside Solitude, between public and private, between exchange and formalization« (Jean-Baptiste Joly). Schlosspost is a magazine and simultaneously an artist portfolio where contributors may collect their output in people’s profiles. As a virtual Akademie, the platform also opens its doors to new talents from the digital scene: the idea whose realization everyone looked forward to most, with eager anticipation, this year was surely the concept of the »Schlosspost Web Residencies« – a new funding program for artists and all other creatives working and thinking in the digital field running exclusively online on Schlosspost. Chosen web residents realize digital projects in a four-week residency and present the process and results of their work on the platform. What would it mean to have a residency on the web? What new space would it open up for the support of artists and what projects would be carried out? How to set up calls and for whom? And, the most obvious question of course, does an artist residency offering studios and fellowships not abolish itself by inventing residencies online? 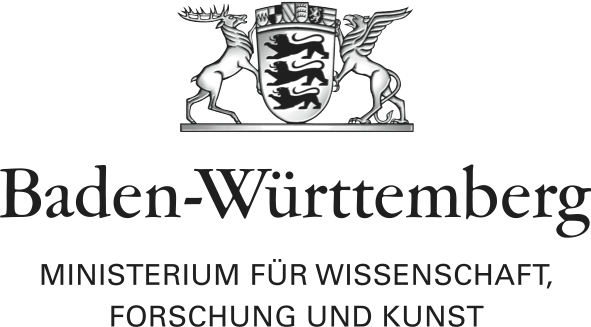 Web residents can be of any age, of any profession or education background, former or current fellows, or those who would like to be one in the future, or those who just might not be able to interrupt their working and living routine to travel to Stuttgart. Next to opening up a new space for the production and visibility of artistic work and concepts online, one of the main thoughts behind the program was its complete freedom and flexibility in opposition to the regular institutional rules to be able to adapt to the principles and topics of the digital world and to invite new target groups. With the web residencies, the Akademie Schloss Solitude also provides a program for students for the first time. The kick-off of the program was organized together with the web artists and Solitude fellows Netro, who were juror-curators for the first call. As with the regular fellowships program, where jurors decide in one art field, Netro were independently in charge of the selection and furthermore defined the topic of the call together with us. »Decentralization of Internet Art« or »Who wants to post stuff on the same platform as Donald Trump?« – the smart digital-pop-way of talking sped up the call and attracted a great community of digital creatives from all over the world. Over eighty contributions of high quality with witty headlines like »Want a Meaningful Online Experience? Talk to a Human« or »How to Make 500 USD working from Home!! !« were submitted often playing with the web residency format itself. In this way, the first call for web residencies also became part of Netro’s popular campaign-like web-art-projects such as the satirical Gay Check Online website. The second call for Schlosspost Web Residencies was curated by New-media-professor Mario Doulis on »the« hot topic at the moment: virtual reality! He invited (digital) artists and scientists to revisit cyberspace and share their virtual reality projects dealing with the topic »Re-entering the Ultimate Display.« With the digital diary by the disillusioned netizen Travis Hallenbeck, the web-based SEO performance by the Institute for New Feeling, and the dark net pocket gallery by Dina Karadžić & Vedran Gligo the bar was set high with the winners of the first call concerning the quality of the projects. So what would the outcome of the second call be like, when also the constraints were much more strict in relation to the medium? Again, many project proposals reached us and some of the great and sophisticated ideas turned into web residencies: like the very thought- and skillfull The House of Shadow Silence by Jeremy Rotsztain, who used the medium of virtual reality to realize the ideal space of Frederik Kieslers modernist Film Guild Cinema that opened in New York City in 1929; or the skewed and playful VR Internet Moon Gallery by Manuel Minch, which invited all shortlisted applicants to be exhibited in 3D and in this way became a very nice participatory project, which the community liked a lot. Maybe one day we’ll find a »home« for those spaces to take a look through the looking glass. All of those very different projects by the chosen web residents not only showed a surprising conceptual depth and quality, they also dealt with the topics in unusual, sometimes playful and even poetic ways, referring to traditional/historical art discourses or leaving this plateau entirely, and transformed their residencies into interesting and open artistic experiences. And just like in the physical Akademie, the visible (artistic) process, the reflections and steps on the way to a finished piece in the end might be more important than a final result that could even appear completely different from what was intended. Hope is the new oxygen! Finally, as the first two rounds have shown, the web residencies have an enormously progressive potential. The limited time-frame of four weeks increases the dynamics of production and communication of the projects. To organize the calls around set topics, but to keep the format more or less open concerning the channels and media the web residents use – may it be blogging, designing or coding, building up own websites or using tumblrs – also seemed appropriate to encourage participation in a framed but still open environment that also allowed for the visualization and comparison of ideas through the logic of a magazine. And, one of the odd things of the digital world, working with the participants never felt distant, although they are spread around the globe, located for example in Rumania, Spain, or USA, and were actually never physically present. For the future, it is also an aim of the Schlosspost team to further foster the debate between the »real« and the virtual Akademies, its communities, and to also strengthen the exchange within the new digital community around the Schlosspost web residencies. Now the third call is up and running, calling for your ideas, objects, and fantasies to extend the universe SUPRAINFINIT curated by Apparatus 22. Apply until October 21/2016. This summer, Akademie Schloss Solitude welcomed three cultural journalists who have been invited for a five-month fellowship – Yania Suárez Calleyro (Havana/Cuba), Komi Antoine Feda (Lomé/Togo), and Rasha Hilwi (Jerusalem). The special fellowship program is co-funded by the Carl-Zeiss Foundation and supports young, independent cultural journalists who contribute with their work to the constitution of a critical society in developing countries. During their fellowship, the journalists will share their content in different formats on Schlosspost and other media platforms in English as well as in their mother-tongues – French, Spanish, and Arabic. Rasha Hilwi started two fantastic and vivid blogs with some very strong interviews and insights into Solitude as well as her Arabic/English blog Tawf–Journey on Arabic culture in Germany and Europe. As part of the digital program, Akademie Schloss Solitude also awards fellowships to journalists, developers/coders, designers, as well as artists and all other creatives and professionals who work on the development of new digital content and formats to share their output on Schlosspost. We were honored to select fellows together with Alessandro Mininno and Bruce Sterling this year who wrote a wonderful statement on the »Evangelists for Online Culture.« We are looking forward to welcoming Rosa Menkman, Fei Liu, Sebastian Schmieg, and Taietzel Ticalos at Akademie Schloss Solitude from February to July 2017 to explore new digital fields with them and push the boundaries of the program and the platform further with their ideas and works. The vision for Schlosspost was for it to be a maximally flexible platform, regarding content and structure, visually strong and independent from the other media of Akademie Schloss Solitude. In doing so, it should be able to adapt to the constantly changing content and needs of the international network from all art disciplines, science, and journalism without losing its identity. As editorial team we have to keep this balance between the highly diverse content and the institutional online-representation, between a user-friendly environment and an easily accessible magazine with compelling design and individual artist portfolios. For the future, one of the goals will also be to optimize this balance within the productive exchange with the network by finding appropriate ways to discover, pool, and push sustainable discourses. We hope you continue to enjoy reading Schlosspost and welcome you to get in touch with us to share your ideas and content or to give feedback on our work! »You form a bond with the place and feel an urge to return.« An essay about this exceptionally strange and quaint situation called Solitude. Call for all art disciplines: the art collective Apparatus 22 invites all creatives, artists, musicians, scientists, and writers to apply with all possible formats to be part of the universe SUPRAINFINIT.